Picture this: a quaint suburban house on a quiet cul de sac, with a bright yellow school bus pulling up in front of the yard. Two children deboard (well, 2.4 if we’re adhering to the 2015 census’ family average) and race inside to the kitchen to see what sort of snack awaits them. –Who do you picture standing with Cheez-Its or apple slices in hand? There’s no wrong answer, but if your initial impulse was to envision their smiling mother wearing pearls and an apron: a) you might want to reconsider what being a stay at home parent actually looks like, and b) statistically speaking, the odds are actually against you. While we’ve spent decades associating the task of caretaking with stay at home mothers, recent data suggests that the number of women able to stay home and focus solely on raising their children has dropped to 29% (still higher than it was in 1999 at 23%, but significantly lower than decades prior). There are many factors that contribute to this, and if you and your partner are expecting a child, you may find you are tackling a question that previously was unthinkable: whose job will it be to be at home with the kids? 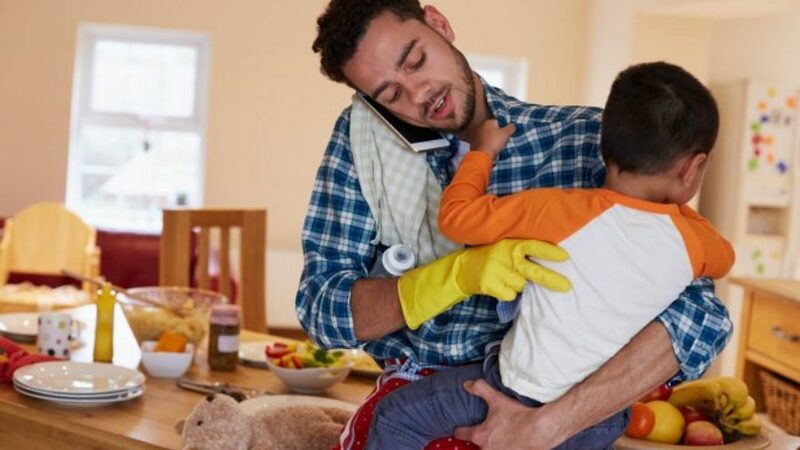 While traditionally, women have undertaken childrearing duties without much thought, many men are now discovering that there is plenty of joy and pride in nurturing roles. Socially, our ideas surrounding gender roles and masculinity are shifting, deconstructing the taboos we’ve placed around the idea of the stay at home dad. If you and your partner are uncertain how to divide responsibilities (both financial and fostering), read on for some points to consider. Making the Decision: Who’s it Gonna’ Be? There are plenty of ways to build and maintain a happy, functioning family. No one equation is going to be exactly right for all couples, so don’t feel pressured by examples set by your peers, or what you might see around you. 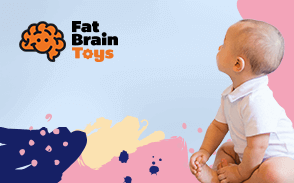 This is about you and your partner making decisions that are best for your specific circumstances and needs, as well as the needs of your children. Sometimes it may seem hard to believe that women’s voting rights were passed within just this past century. While progress can feel slow in the making, in retrospect, a great deal has shifted over a short period of time on the gender roles front. Today, more and more mothers are joining the workforce (69.6% as of 2015, compared to 56.3% in 1976) and more and more fathers are embracing the joys and trials that define being a stay at home parent (in 1989, 10% of stay-at-home parents were men, as opposed to the 16% of 2012). This is likely due to a multitude of variables ranging from economic strain to diversified career opportunities, but the social norms surrounding gender should not be discounted as a contributing factor. A recent survey bye AXE Canada found that 70% of young men between the ages of 15 and 25 have been instructed that there are certain well-defined and traditional traits that they must exhibit in order to “be a man”, and yet still the polled participants felt that their generation was moving towards a less stereotypical definition of masculinity, defined by inclusivity and acceptance. Plenty of stay at home dads report that they are very happy in their role in the family. And still others admit to struggling with feelings of emasculation or uselessness when it comes to financial contributions. Data shows that this isn’t specifically a male-centric issue, but rather about individuals feeling like they are not pulling their weight if they are unable to contribute monetarily to their team. Recognize where this might be coming from cultural focus on finance being a symbol of success and contribution to society, but also speak with your partner about why this might weigh on you and ways to work through it together. Though we still wrestle with the pay gap, as of 2015 (the most current information available), 42% of mothers out there are the sole (only) or primary (highest contributing) breadwinner, with those women all accounting for at least half of the household income. All of this to say: being a stay at home dad is not only culturally acceptable but a financially feasible option now, given that women are able to earn a more substantial income in the workforce these days. While having one parent home full-time with the little ones might seem ideal, it isn’t always a practical reality. According to recent economic analysis, 66% of American families are dual-income households, meaning that both parents contribute financially in some way. With rising costs of living in many parts of the United States, it’s common to find that there is no longer a sole breadwinner between the majority of couples. If you’re thinking about being a stay at home daddy but worry about missing your career and work, consider whether you might be able to telecommute a few days a week, or look for a job that would allow flexible deadlines/hours to be built around your children’s schedules. It can be hard to juggle all of the labor involved in childcare and home-making, but it’s doable with the right system and circumstances in place. Recent studies suggest that there are somewhere between 1.4 – 4 million nannies currently employed in the United States, but given that much of the workforce in childcare is paid under the table and thus never reported, this number could be on the low end. Outsourcing help for your children can be a pricey venture but may be worth it, even part-time, if both parents need to be out of the house for their individual work, look into whether there are options in the area that seem financially feasible, such as part-time nannies or respectable daycares. The model we often base statistics and theories off of is usually the most culturally homogenous: a man and a woman with their children. But plenty of happy families break from that mold. The important factor in deciding how to handle childcare is that both parties feel heard, are honest about their wants and needs, and are willing to compromise together. If you can follow that formula, you’ll be just fine. Dividing household responsibilities can be an issue for any two or more people sharing a common space, regardless of children or couple-dom. In order to ensure smooth sailing through the busier and more tumultuous stretches of life, sit down and talk beforehand about how you might like to divvy up the household duties. In case you needed a reminder about how much actually piles up around the house (especially with children), here are some of the chores most commonly disputed between partners: laundry, cooking, cleaning and putting away dishes, dusting, vacuuming, sweeping/cleaning hard floors, taking out the trash, scrubbing down the bathroom fixtures, paying bills, stockpiling groceries and other necessities, maintenance errands such as cars and house repairs/upkeep, and general pick-up/tidying. With children thrown into the mix, discussion also needs to happen concerning managing the children’s schedules, getting them to and from events (both during weekdays and weekends), helping with homework, bathing, bedtime rituals, and morning routines. Plus, all your other chores? Now you’re doing them twice as often because there’s at least one extra little tornado pillaging across the house. All of our jobs and lives demand different levels of work and commitment from us. It’s possible that your partner is working 9 to 5 and then home in time, and left with enough energy, to help with dinner or clean up or whatever else might need to get done. But likely, it’s a little messier and more complicated than that. Sit down to discuss both of your expectations regarding the state of the house. Does either one of you think it should be immaculate or are you okay with a little clutter? Are your wants and needs reasonable? How can they be divided fairly between the two of you? That doesn’t always mean splitting the workload fifty-fifty. Not every item on the to-do list is a daily offender. Some chores only require weekly or monthly attention. Be honest with each other about what you think you can contribute to the running of the household and agree that sometimes that will fluctuate and you’ll need to share responsibilities or let certain expectations go. An open line of communication is the best way to ensure that there are no feelings of resentment or unresolved issues, so don’t be afraid to speak up if at some point your feelings or circumstances change, and you think you need to discuss how better to approach all of these responsibilities as a team. Every family unit is different. Sometimes one partner is happy to handle all of the cleaning and let the other pay the bills. Or perhaps your spouse enjoys certain chores more than others and will gladly take those upon themselves. Guidelines and shared responsibilities can be as clearly defined or as fluctuating as you need, just so long as both parties are being forthright about their wants and needs, and willing to work together through any potential hiccups. There is no right or wrong way to approach building and maintaining your family. Even still, it is easy to feel pressured to meet certain standards or structure your lives in a specific fashion. Outside factors such as cultural norms, traditional gender roles, and the representation of families in the media, can all contribute to subconscious ideas concerning how we ought to be operating in order to be a praise-worthy model of family structure and values. Be mindful that so long as you and your family feel that you are doing what is right by your own needs and standards, that’s all that matters.